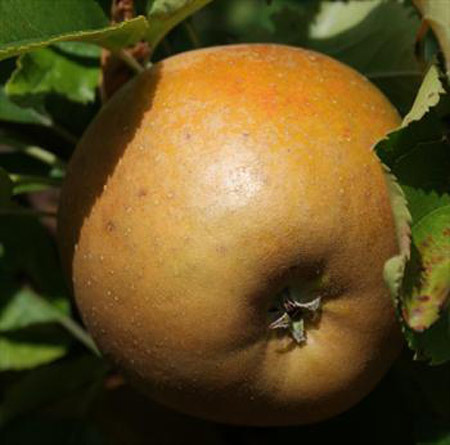 Egremont Russet is a classic English russet apple from the Victorian era. 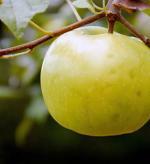 It remains popular with discerning apple lovers who appreciate its unique flavor and apearance. 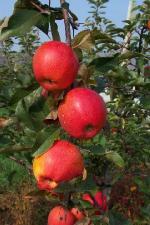 Egremont Russet is a medium-sized apple. The flesh seems quite dry and gets drier with keeping - it is moist rather than juicy. 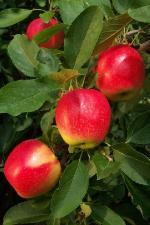 Traditionally described as "nutty", the flavor is more delicate than most varieties, and quite sweet. Both the flavor and the soft flesh are reminiscent of a firm pear. Yet Egremont Russet is surprisingly versatile, working well in savoury salads for example, and a popular partner for cheese.